NASPH 2010, our 5th annual meeting, will be held Sep. 16-18, 2010, at Seattle University in Seattle, Washington. In recognition of the semicentennial of the publication of Gadamer's Wahrheit und Methode, the conference theme is "Wozu Hermeneutik? 50 Years since Truth and Method." 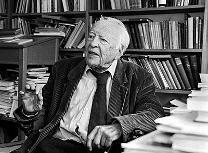 Submissions for papers are invited on all themes related to philosophical hermeneutics, but we are especially interested in papers related to Hans-Georg Gadamer’s Wahrheit und Methode, vol. I or II of Gadamer’s Gesammelte Werke, and the question of the future development of his hermeneutics. In order to promote a spirit of dialogue and meaningful reflection on each paper, presenters will be asked to make their papers available for posting on our web site to be read in advance. Sessions will consist of 15-20 minutes of reflective summaries of papers, followed by 45-60 minutes of discussion. Since papers will not be read in-session, there is some flexibility regarding length: submissions may be between 3,000 and 6,000 words in length. Complete papers in English, formatted for blind review, must be submitted electronically to nasphermeneutics@gmail.com. Attachments in either *.doc or *.rtf format are preferable. The deadline for full-paper submissions is June 15, 2010. Notifications of acceptance will be sent by July 15, 2010. For more information about the society and/or to be put on an e-mail list, please visit our website or contact Monica Vilhauer (vilhauer@roanoke.edu) or Jamey Findling (findlingj@newmanu.edu). For a printable/downloadable PDF of the full call for papers, click here.